Artistic and noble is the impression of decor ESTE. 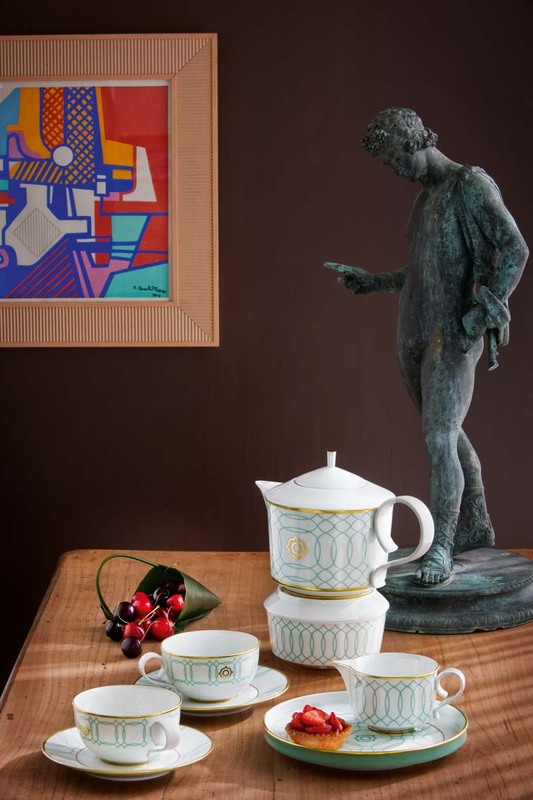 The look is created by luxurious shades of gold combined with discreet green hues and the unique effect of the ornaments: On a table laid, the porcelain pattern reminds of artistic mosaics, where the frail porcelain pieces elegantly blend in with the contemporary life style. Carlo Dal Bianco, former leading designer of Bisazza, found his inspiration for this extravagant colour design in his studio located in the Northern Italian artist city of Vicenza. 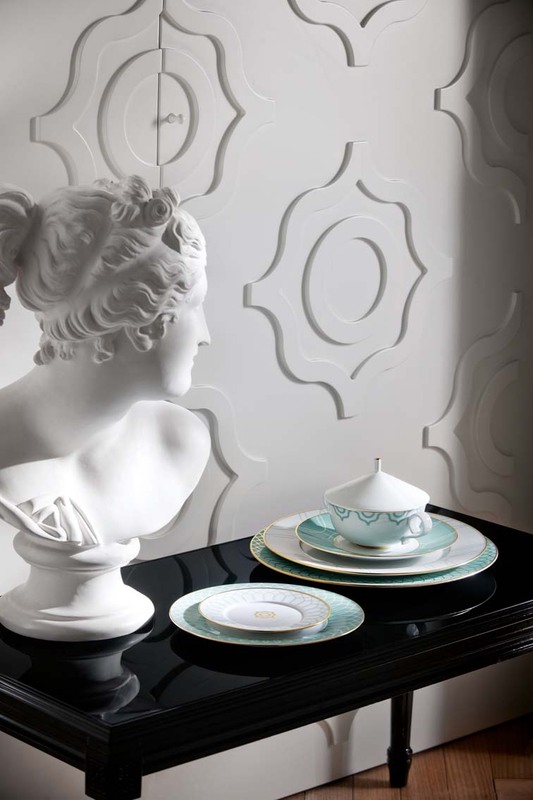 The Italian architect and former Design Director of the Italian manufacturer wall mosaics and interiors, Carlo Dal Bianco, is the creator of the service CARLO. "My service for FÜRSTENBERG is my first work with porcelain – a material that has always convinced me with its versatility. I wanted to combine modern elements with the traditional in this service." Italian architect and designer Carlo Dal Bianco has an unmistakable soft spot for neoclassicism and the artistic styles of the 19th century. 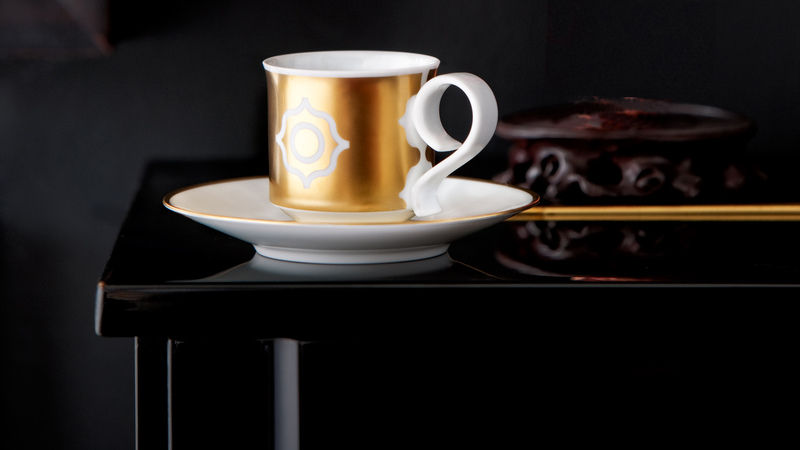 With his complete coffee and dinner service CARLO with the pattern ESTE, he has succeeded in creating a formal design for porcelain manufacturer FÜRSTENBERG that marries elements from these periods with contemporary influences. 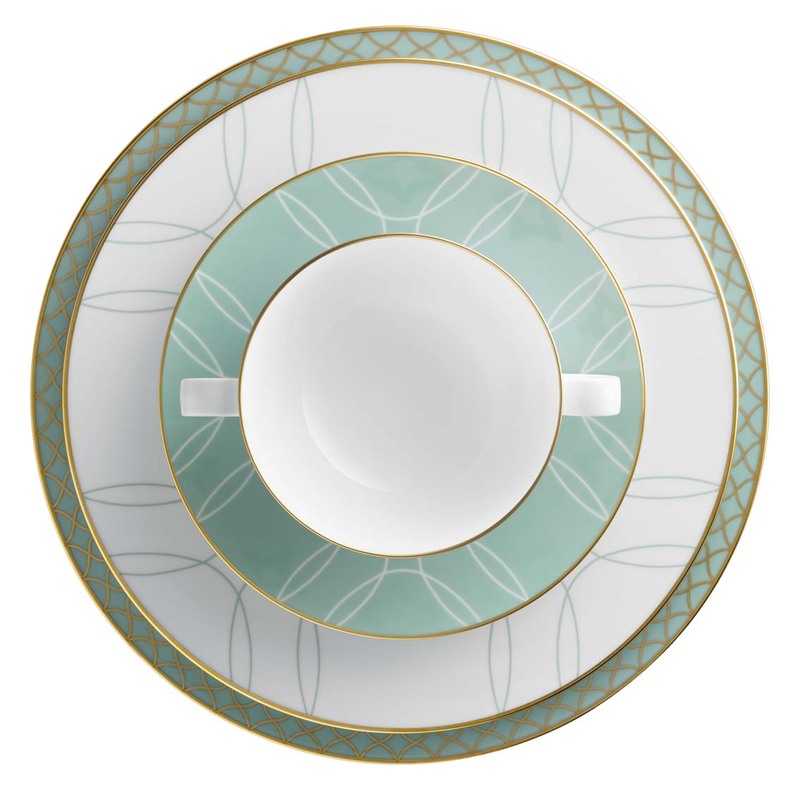 ESTE, is available for almost all the items and is dominated by powdery grey-green and golden hues. ESTE has got ornamental elements and partially reworks them into expansive spiralling lines. For Carlo Dal Bianco CARLO ESTE marks his first personal experience of working with porcelain and with FÜRSTENBERG. 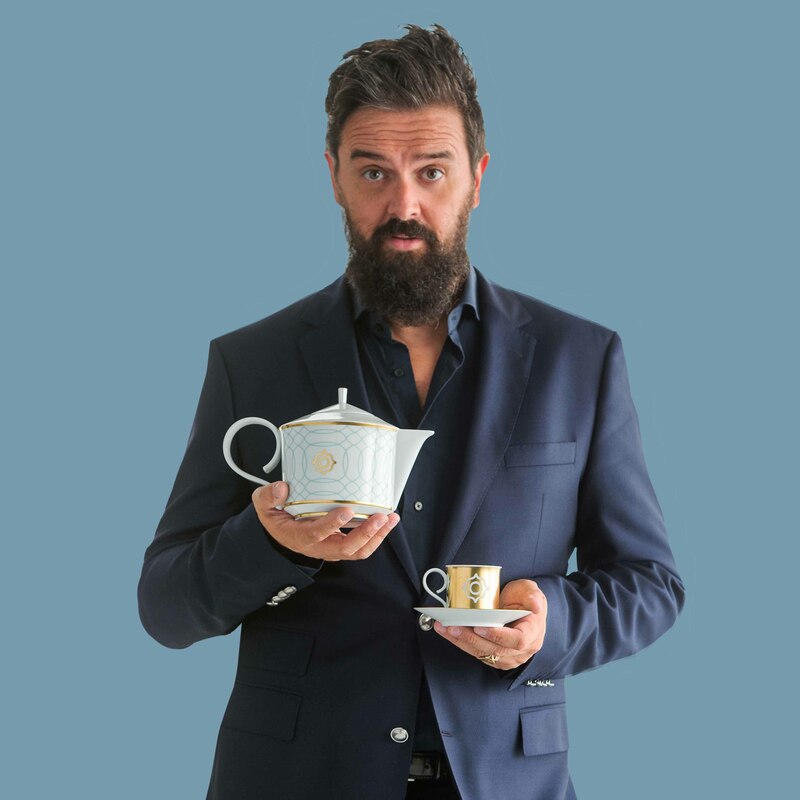 He was particularly fascinated by the craftsmanship and technical precision of the porcelain manufacturer FÜRSTENBERG and was delighted to see the results of his designs take shape. With the CARLO collection, the designer and FÜRSTENBERG have built a bridge between the traditional and the modern. The result is the elegant service CARLO ESTE perfectly in tune with a contemporary view of design.